Lynne Jones and her husband Alan taken at St James Church, Lion Farm. 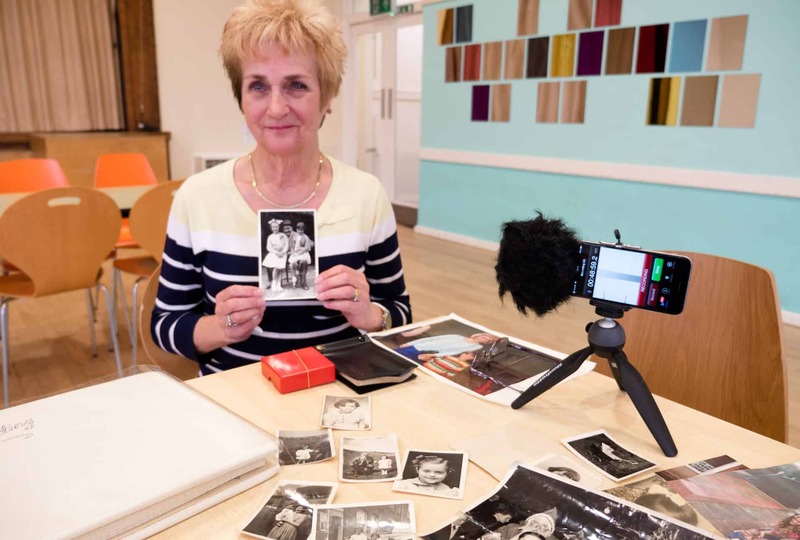 Lynne Jones shares some of her photographs and stories from her life. 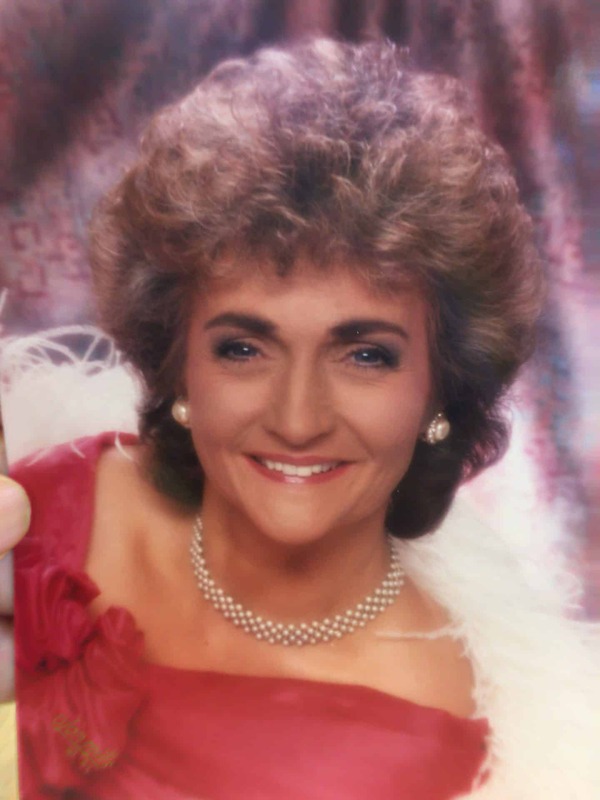 This story is based upon a recorded conversation with Lynne in March 2018 at St James’s Church, Lion Farm. 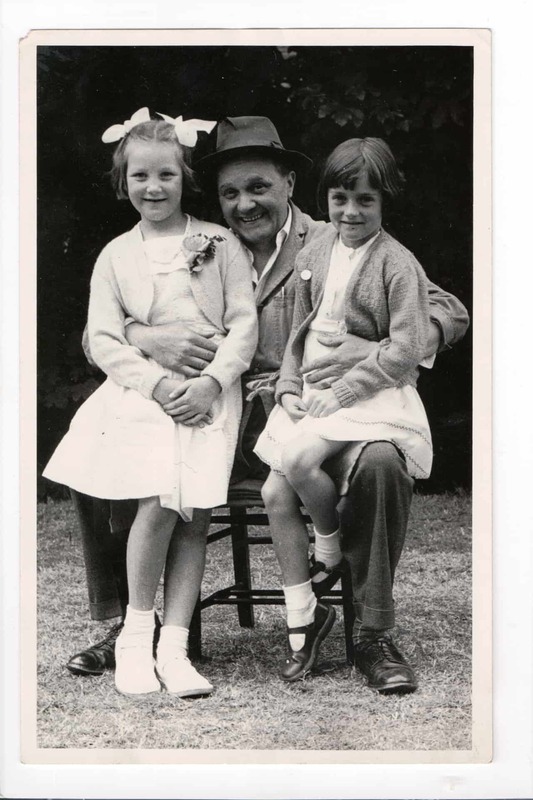 I was born in Barker Street in Rood End, Oldbury, in 1947 which was just after the war. 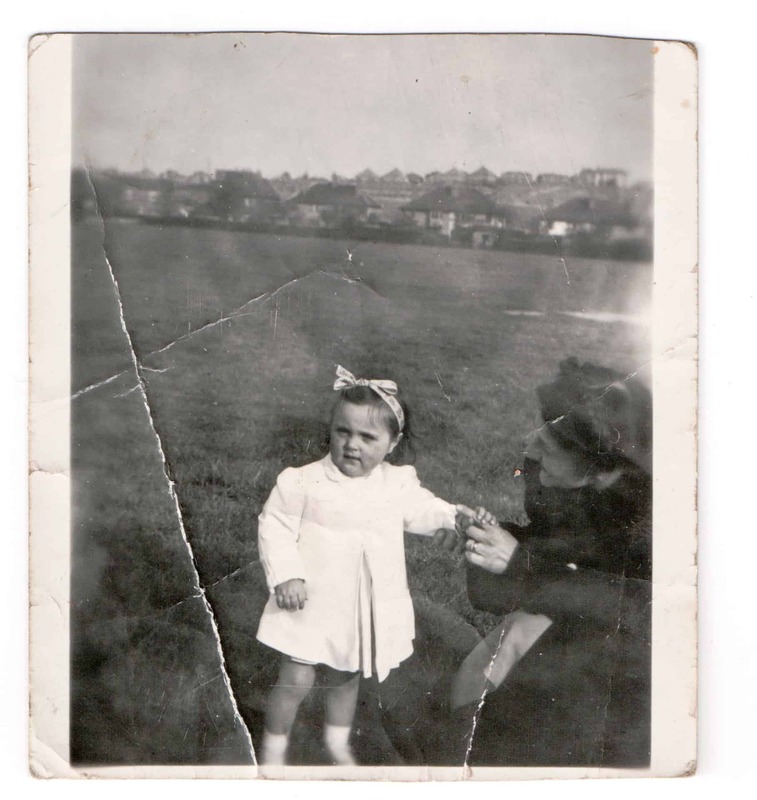 My family was my sister, myself, and my mum and dad. Family life was great, it’s always been great, we have laughed always - mom and dad were both funny and it’s passed down through the family. When we are together it’s a real hoot. My dad’s name was Edwin Clifford William. I have always had Welsh names, he’s got Welsh ancestry - his grandad was Welsh. He was born in Sweetpool Lane, Stourbridge. It’s a lovely name isn’t, that? My mom was born in Rounds Green. Her name was Gertrude Ann and she hated it. 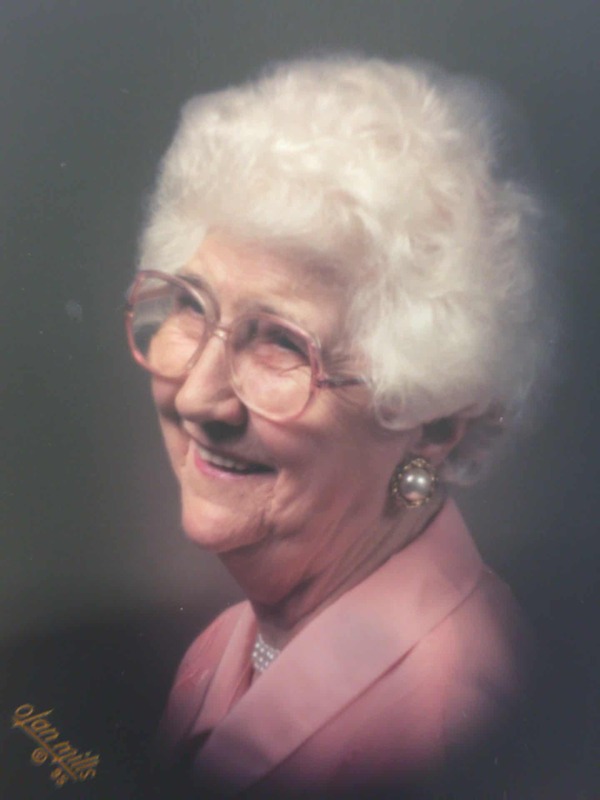 She was always called ‘our Gert’ in the family as she was one of eight. Later in her working life when she went to work in the Director’s Room at A & P ( Accles and Pollock) as a private waitress, the lady said - ‘I can’t have you called Gert in there, I will have to call you Ann’, ‘Ann from the Director’s Room’.’ That’s how it was then. 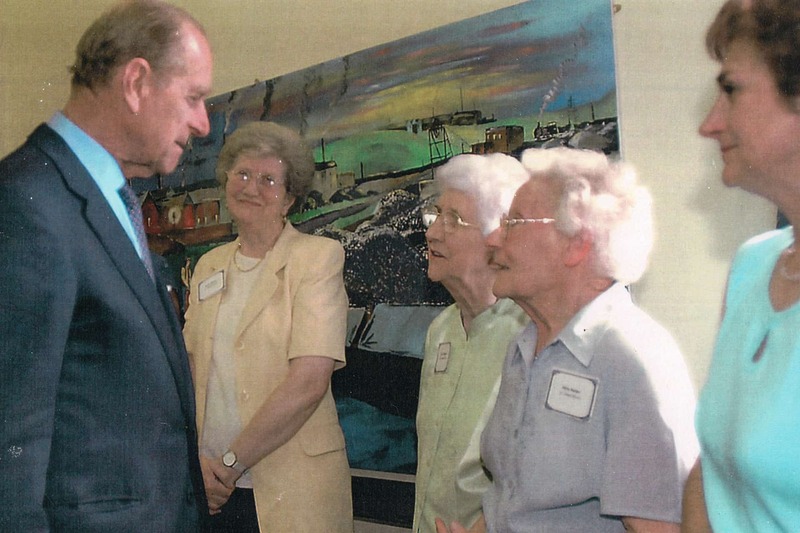 The only recent picture I have of my mom is this one when Prince Philip came to visit in about 2003. She died nearly 10 years ago now. She would be 100 this May so she was born in 1918 at the end of the first war. That’s my mom in the green top. She lost her first husband in the war - his ship went down. 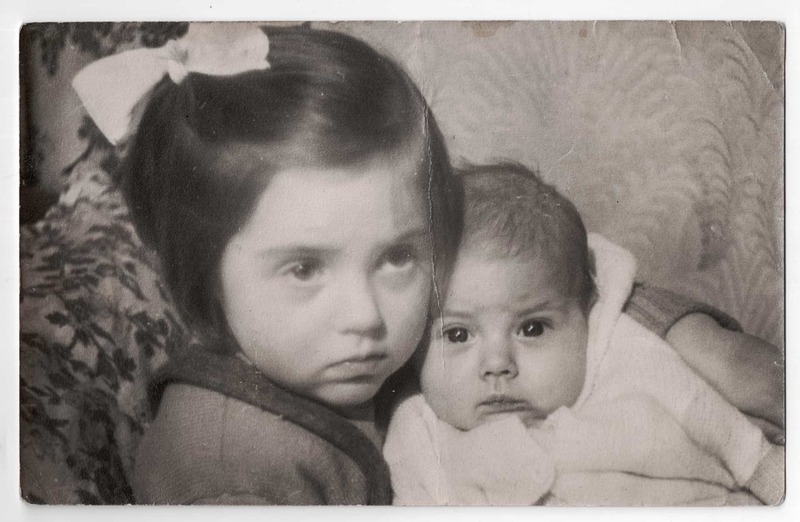 There were no children from that, they had only been married a few months - then she married my dad just after the war and then there was just my sister and myself. My mom and dad met at A & P because my dad was an inspector for the aeroplanes. People worked very local then, if they could. My dad, well he just adored mom, he really did, even from afar before they went together he really really loved mom. This is me with my dad. He was a wonderful dad and husband, and family member to everybody. I think it might be taken in Rounds Green Hills, we never went far. He was really kind and very funny. He died when he was only 70, that was back in 1973. I was 26 when dad died. It was a terrible shock. There was 14 ½ years difference between mom and dad, but it worked because he just thought she was the best thing ever. My dad was born in 1903 and so he was 65 here. He was a dad who was always proud of our achievements. He was very loyal, that was one of his strong things. He was blind in his right eye. You can see here that his glasses have one side shaded down. They wanted him to have his eye removed and he said ‘No, I don’t want to do that’. He just had shaded glass. He lost his sight because someone threw a match in something where he was working and it just exploded, and that was what happened. I don’t think he was over keen on having his photos taken because of his eye, and he used to wear shading on one side. My dad was an aircraft inspector, he always worked in the AID. 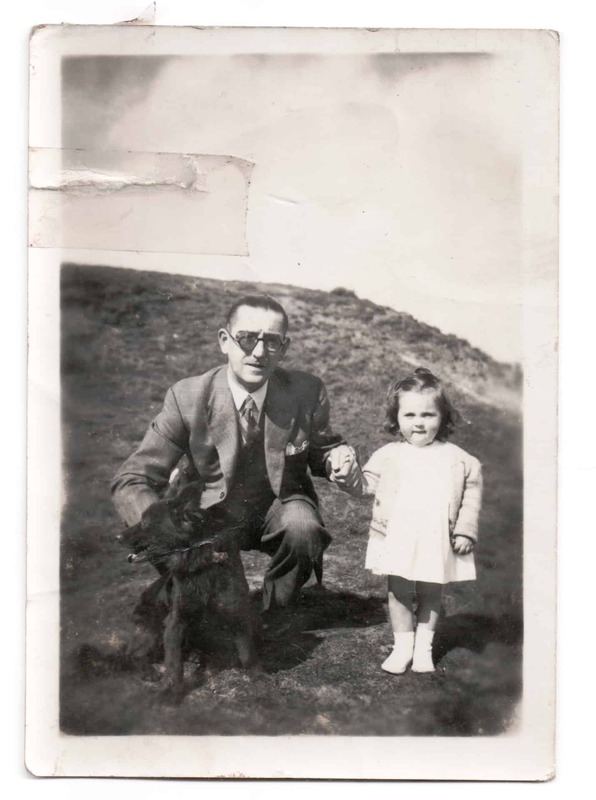 Dad only had sight in one eye as he’d had an accident years ago, and he lost the sight of his right eye, but yes he was a fabulous inspector. He was in a protected industry in the war, a reserved occupation. Dad just thought mom was so wonderful, he did just think he had got the jackpot according to him, he just adored her. She was nicely put together, she had nice legs. My sister has got legs like my mother and I have got legs like my father, but there you go (laughs), it’s the luck of the draw. Well, mom’s dad (my grandad) was a very reserved, kind of cold man, and yet our dad could bring him out. He was go in and say ‘Ain’t you got a collar’ take him for a drink. So rather than bring the beer in in a jug he would take him next door to the Bird in Hand pub. And well, grandad just really warmed to dad, which was great because he was a difficult man to get to the heart of. And well my dad, he managed it, and that’s how he was in the family then, he was just a great guy. Of course, up until then my dad had been a bachelor all those years. He was over 40 when he married mom, he was 41 or 42. He had had a really great bachelor life, and I think in the war they never went down an air-raid shelter, they went under the bar in The Bell in Rood End drinking the bottles under the table. And I think our family thought, our Gert will never get him in shape. But mom had got him in shape in less that a year, meaning not having all his hangers-on friends who would just call in and think he could go out anytime and drink. Now dad was a married man and then he was going to be a family man and mom was having none of it. And because he loved her so much, well she was able to tidy up the bits. And then, well he was just fabulous, as I say he was the most wonderful family man. I do think that the love was never as much from mom to dad as from dad to mom because I think Arthur, her first husband, was her first love and that got snatched away and so that was very difficult for her. At the time when Arthur was killed in the war, well my mom had a nervous breakdown. 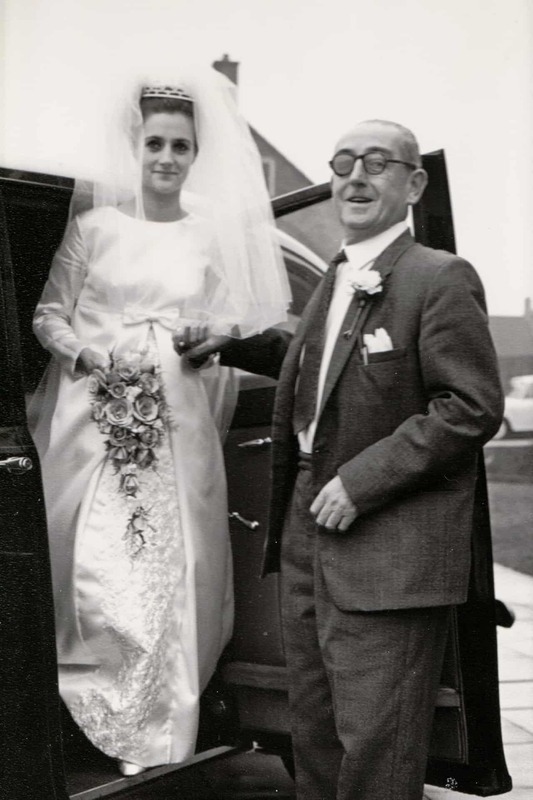 My dad knew her from work at A & P And then dad was her friend, before he asked her if she would like to go out, but he was already besotted, I think mom was much more controlled that time round. But dad was just wonderful with her, I mean we never had tensions in the home or anything like that. You never had fall-outs and things. If mom had got something to say, well she would just spit it out. And if mom said ‘Snow was black’, it was black. She was a very strong woman my mum, and in our family we are all strong women. All of us cousins, well we have got more to say than we have to got eat, and we don’t have any nonsense off the men. You know your place. But I do say to Alan - because men in a christian family are supposed to be the head of the house - I say that’s ok as he’s a good guy, well Alan is a very good guy. We live in Rowley now, and I am very happy here. You wouldn’t think so because it seems such a long way from Rounds Green, going over the border and yet we settled right away and the folks are lovely. We have been up there in our house all these years now, and l we just love it. And yet I love the roots we had being born in Rood End and time at Rounds Green. This is my sister and myself, I’m on the left. 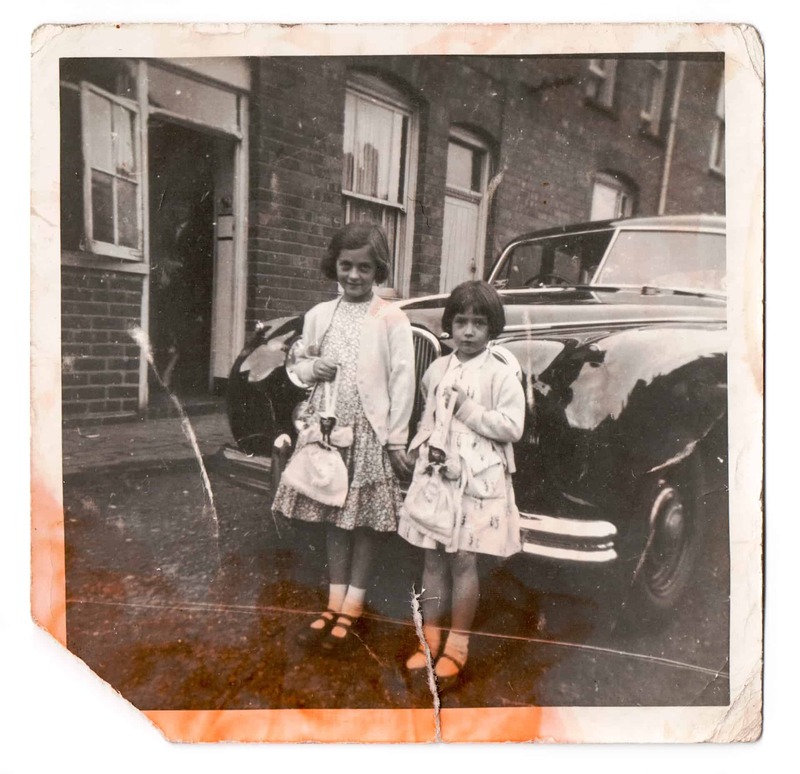 My sister’s name is Denise, and she is still local - she lives in Smethwick now. We meet all the time. In this picture we are holding what was called ‘Doll Bags’ They were just a little bag behind the skirt with a zip. This would be a Sunday and this would be our Sunday ‘walking out’ outfit at that time. This is me with my mom. You can’t see her very well. I think it’s in Smethwick Park. Well, we had rich relatives. They had a Jag because they had a business. This is where they lived, the business in Titford Road. Uncle Joe was a scrap merchant, a very successful man. Auntie May was his wife, she was dad’s sister. Her full name was Selina May Bird. That was a lovely name, Selina May, and she was an absolute card, she was so funny. He was J.W Bird, and the lorries had been around for years because it grew and grew until they were working in Ireland, and other places around the world. Because the last lady has died the business has now been sold on. They were great great folks, I used to stay there a lot. I used play down in the sheds. Because there weren’t the toys in there I used to play with the big hammers on my own. And in the vice where they used to twist the metal and so on. I used to have all their jewels on, and their furs and the shoes and I would go down to the bottom of the shed playing with all of this, it was just lovely. It was a lovely life. I used to like to be in the Jag because there were no other cars in the street so when the Jag came down Barker Street to pick us up or bring us back, everybody stopped. I spent a lot of time with them, and their daughter Delvene, she was also lovely. This one here, well you had to wear labels when you went to the works Christmas Party. That’s me there on the far right. It was down at T.I. (Tube Investments). 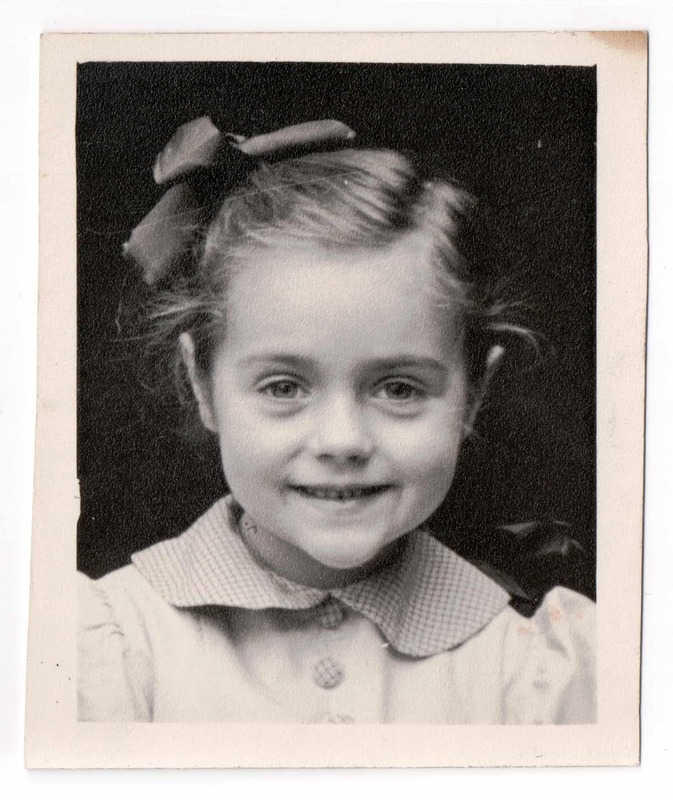 I was about 4 or 5, so maybe it’s about 1952. I like this one because I am so happy. 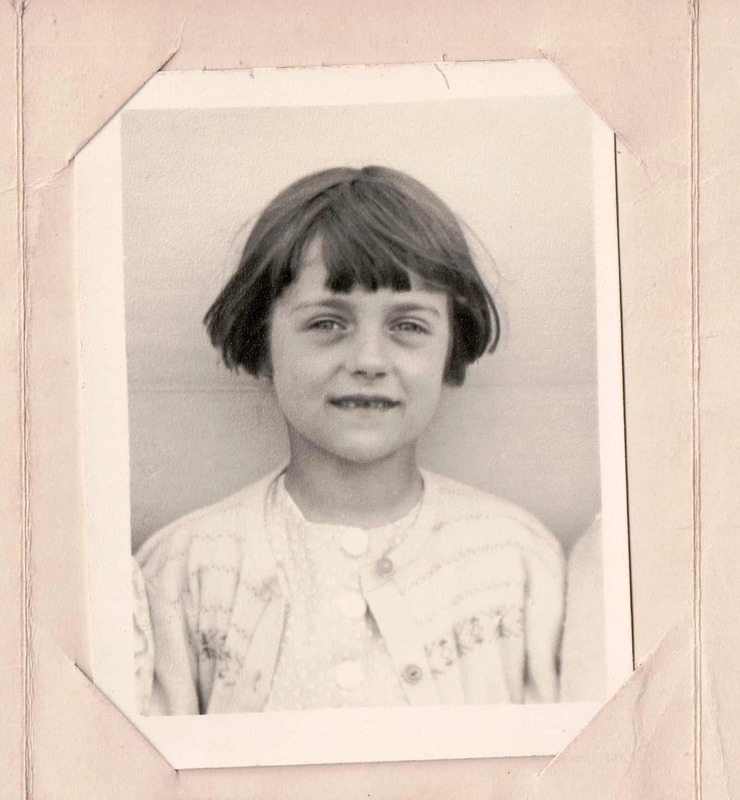 This was my auntie Iris, one of my mom’s sisters. We are just in Rounds Green in the yard. It was always just fun with us cousins, we were always close together and we still are. I didn’t like the lady who came to take this photo because she said to my mom ‘oh I like that baby, I will take the baby away’ because I was usually smiling, I was always a happy child, but I wasn’t very happy that day. That’s me there, and I do look very thoughtful. Apparently I was either asleep or awake and smiling, I was always a happy little baby. I think both sides of our family just gelled, it was a time really when I guess most people didn’t have much, so the joy was in the family. My mom would never let us play in the street, we never played out. She would say ‘You can’t play in the street with the other children, they’d be too common for you’. 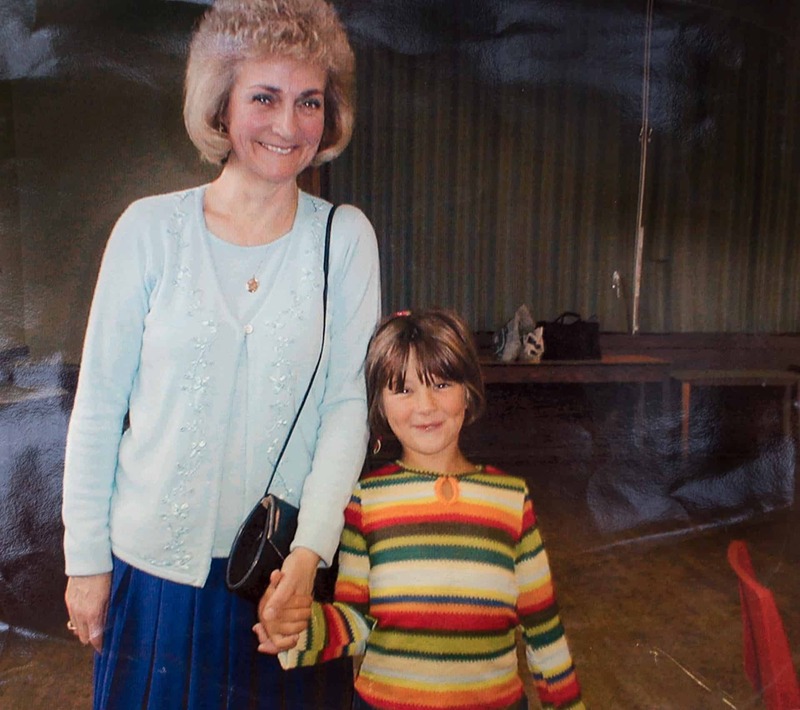 Mom did have standards, and she was always properly dressed and so were we - Denise and I have always been the same, and that’s how it’s always been. When mom used to work and it was school holidays, well as soon as mom turned the corner to go to work in the morning we’d be out with all the cousins and we’d rush down to be in the park. And then eventually the next door neighbour dobbed us in. Mrs Palmer told her what we were doing and oh, it was frightful. We were in such trouble. This was a time when I was about 11 or 12. 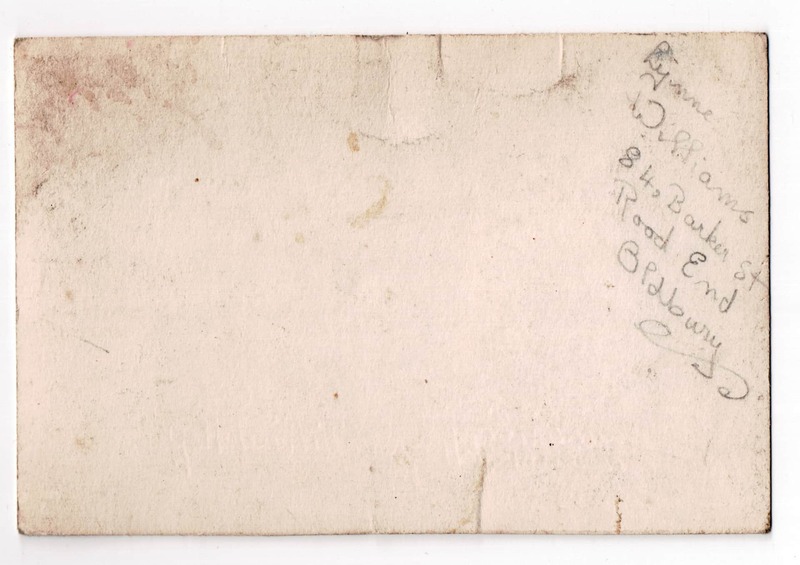 That’s mom’s writing on the back, mom had beautiful handwriting. I am about five here. And the bow in the hair, Mom always did like us to have things like that. We had bows on our dresses and she didn’t like us to get them wrinkled, we always had to get them straight as we walked up the street. So that’s me on the right, and that’s my cousin Angela on the left. We used to have have great days in our church fetes. In this photo is the actor Robert Mawdesley who played Walter Gabriel in The Archers. He was one of guests that time. Everyone knew his voice because you didn’t have your tellies then, but you’ve all got your radios, and everyone knew The Archers. To have him at the fete was really lovey. So that’s me on the right, and that’s my cousin Angela on the left. 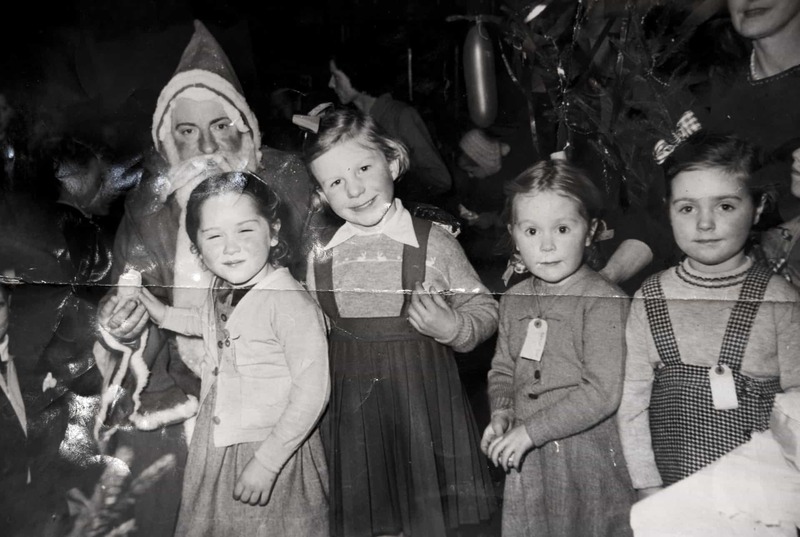 Well you can’t do this today, children sitting on a man’s lap like that, but things were different then and he was just a very respectful man. 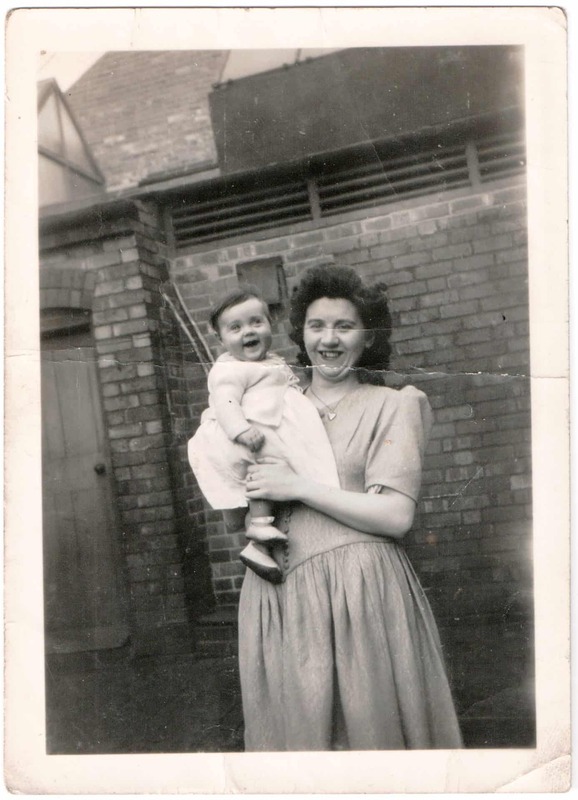 And of course, all our mums were there so anything untoward and my mother would have dealt with it. We didn’t have a car, so we were very local. People didn’t have cars in those days, and that why we always stayed local. When it came to courting, well us girls used to go ‘chappin’, and the local girls went with the local lads. And generally you find they married, we didn’t go far away to find our partners, not usually. Everything was local, everything happened here. So we would just be walking around, making sure you looked all lovely and then we just walked about pretending not to notice, which is what we did, and they would be there, our gang. And then there was the youth club down in the old St James, and the chapel on the corner of Newbury Lane, that’s where we met, me and my husband. 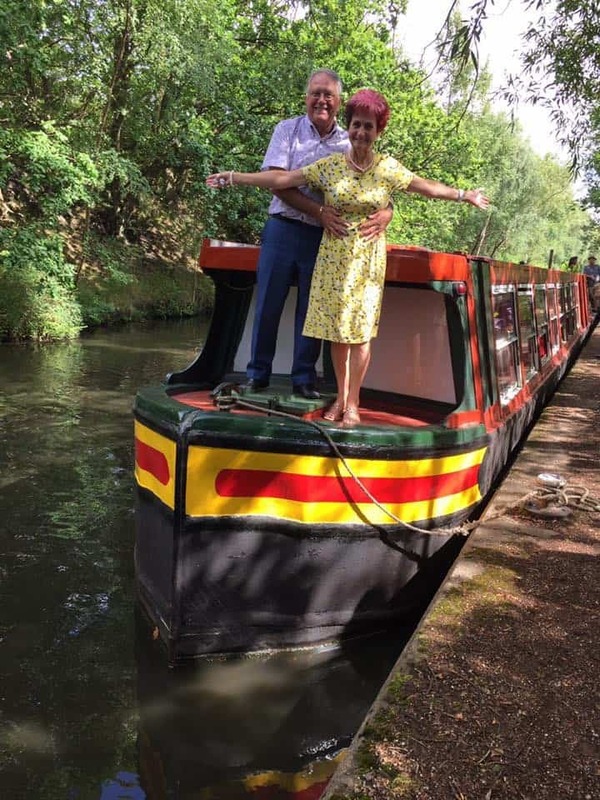 We used to have the trip once a year to Kinver Carnival on a Whit Monday, and that’s when Alan and I started to go together then, it was when I was just 17. 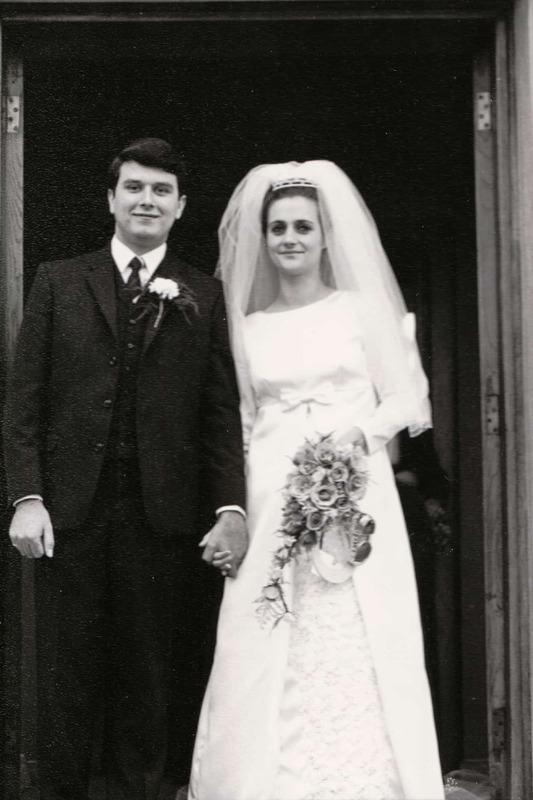 We have been together ever since 1964, and we married in 1968. He was not my first boyfriend, I had done a lot of flirting before then, and the lads were lovely around here. Well for dates, well a lot of it was we would walk around for ages, or go to the youth club and everyone would know that’s the boy you are going with at the moment because you are sitting with them. Or you might go to the pictures either at Blackheath or Langley when it was open. You wouldn’t go far. I was living in Rood End until my 14th birthday and then we moved to Highbury Avenue which is not far from here, and it was amazing. It was like moving into a palace, I could not believe how lovely that house was. And I was there until I moved out after we got married, and we had our first little child. 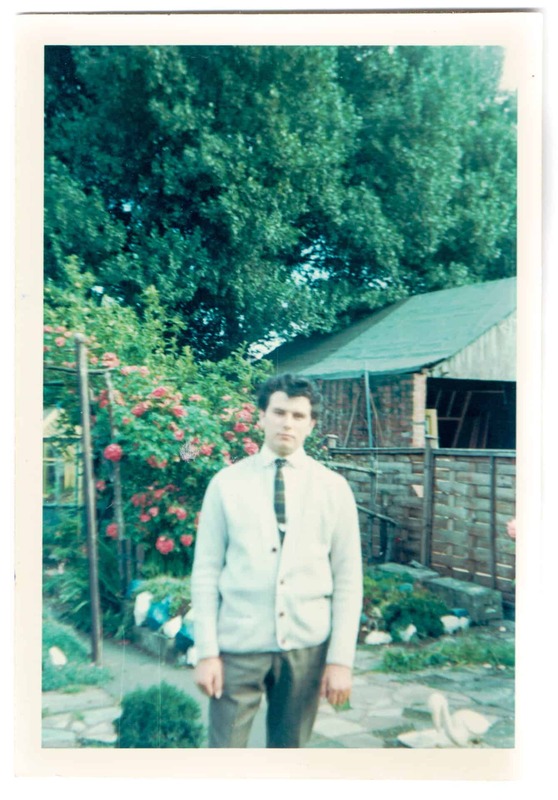 Alan picutred in about 1966 taken in Highbury Avenue, Oldbury. 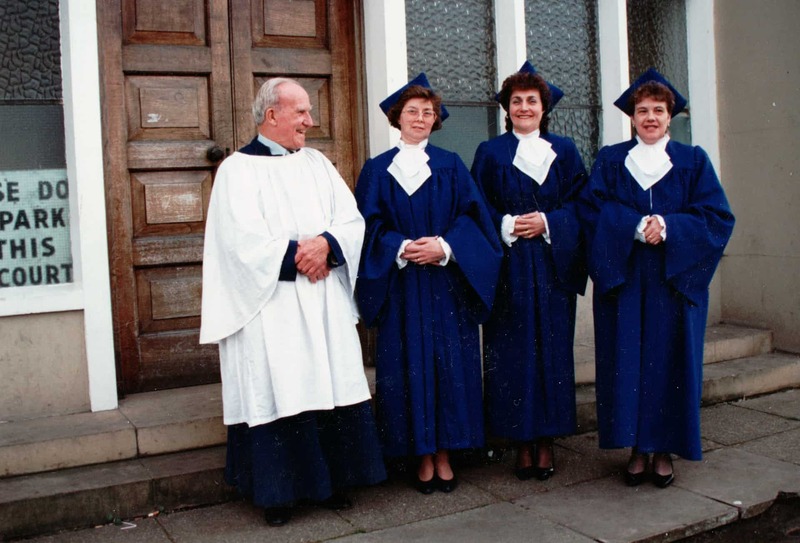 This is me outside church, and we are wearing our choir robes, we don’t have a choir now as we don’t have an organist come and play. Not as many people come to church as they used to when I first started coming, because then other things weren’t open on a Sunday. So church then was your life if you were going to have any social life at all that was decent. Church would be your life. When we first moved into here it was quite a big congregation but over the years, people die and other things become more available, and that’s the pity of it. But it’s a lovely congregation that’s here - they are great folks. It’s a very happy body of people. 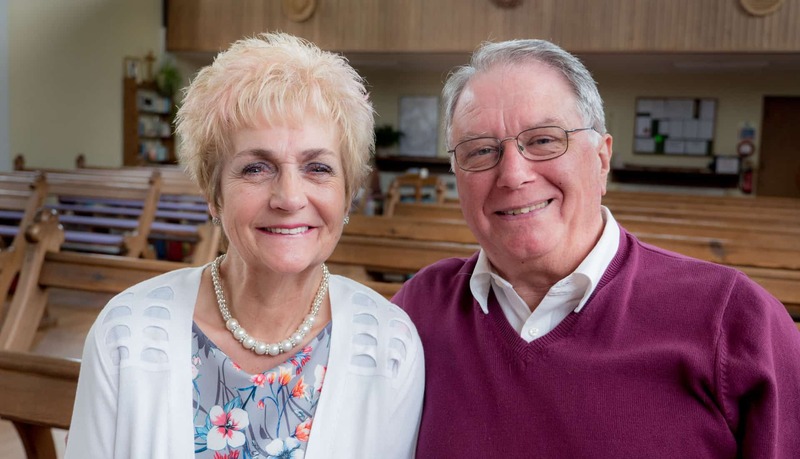 I have been a church-goer since I was 8, and started St James when I was 11 because my sister and I were old enough to travel on the bus from Rood End to Oldbury. Mom came to church; she was always in the sink, she loved washing up with John McDonald (church warden). She loved John, she would have adopted him. And Jill, she loved Jill, and she loved listening to Jill. Jill and John have been here quite some years now, probably 30-35 years something like that. We have had a lovely friendship in all that time as well. We would go away weekends with the church and take all the children and stay in these log cabins, at Peckwood or somewhere like that, and mom would be there doing cooking, and doing all the washing up. We had lost dad by then. Dad didn’t come to church but I do think dad did believe in God, because on the day that I was born it was unlikely that I would survive or mum would survive. Dr Condon said ‘I don’t think I can save them both’ and dad was on his knees praying. But we both survived and that was marvellous. I think that dad did believe until the end of his life, and he loved us going (to church) I just don’t think it occurred to him to come. He would come if it was something special. 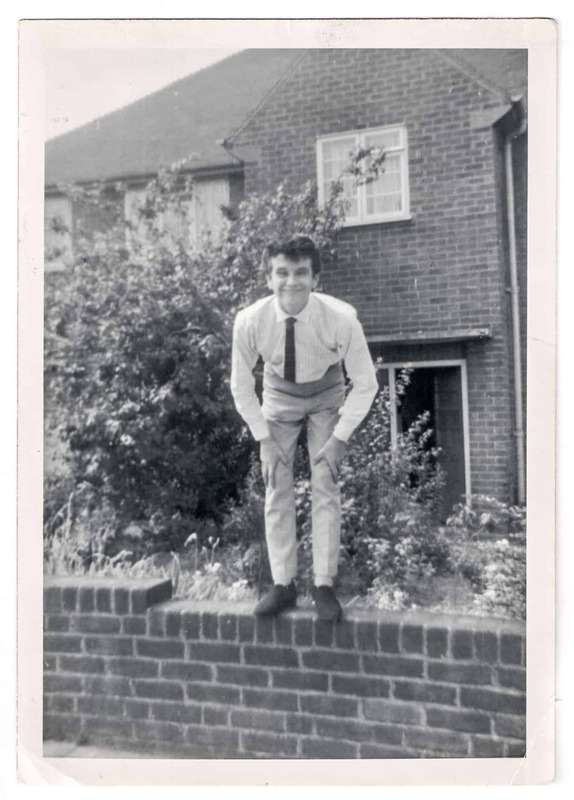 I used to work at Accles, I started where you are doing the filing, and then I was a shorthand typist and then you gradually go up until you are somebody’s secretary, and then I left when I was 21 to start to family. I went back to work when our youngest was 2, the oldest was 7, so I was about 27, and I worked in a security company. I was supervisor when I left. My friend was working there so when I went back to work my friend said ‘Come and work for us, Lynn’ and the next thing 25 years had passed. And I thought, ‘I’ve had enough now’ and there was not a very nice person over us, so I thought ‘It’s time to leave’ so I left, and I never got another job after that. And well, God knows what he is doing and my mom needed looking after then and I was there to do it. So we had these lovely last years together. We managed to keep mom at home, even though she had got dementia. It was just Denise and I, and we used to be there alternate days, and then we had to get care, and they were wonderful. And we used to dress her lovely, she’d have a pink day, a beige day, black and white day, whatever. She always wanted to be dressed smart. And she never wanted to go away, she said ‘I hope I never have to go into a home’ and we said ‘As long as we can manage it, we’ll do it.’ And we did. And she did die at home, and I was there when she died. It was sad as she was so good. 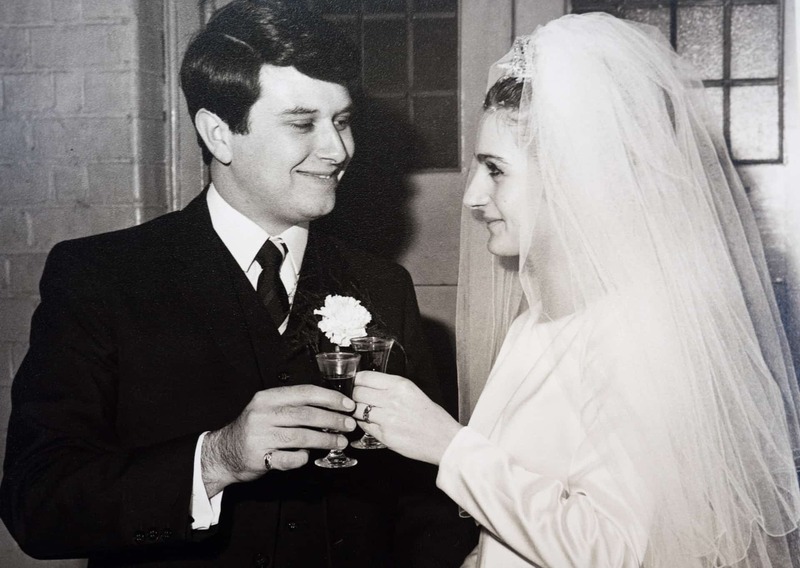 We got married in 1968, November 30th. It’s the ‘golden’ at the end of this year. We were both 21 when we got married. Alan was always a handsome chap, well we used to go to this young club on Newbury Lane, and I thought to myself ‘I haven’t been with Alan Jones’ he’s a rather nice looking guy’ and I thought I might see what I can do about that on the Holiday Monday. Well, we were obviously of the same mind because that’s how it worked out and we just stayed together the whole time. 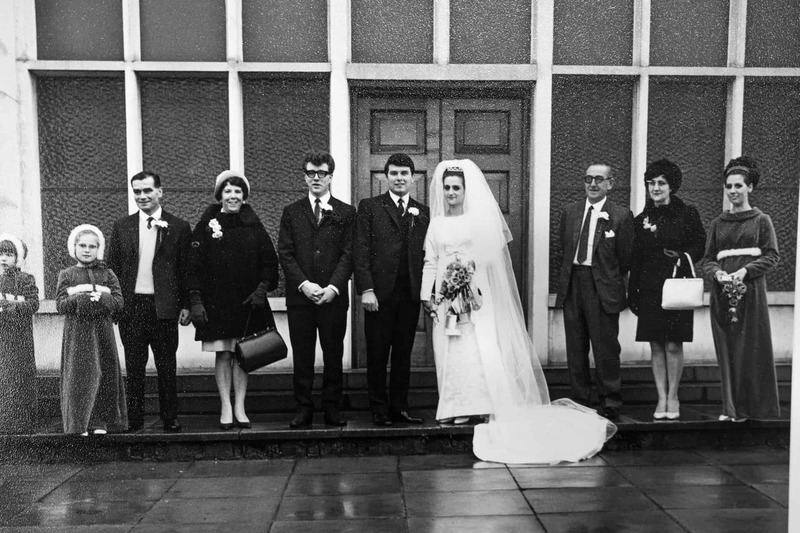 So that’s me and Alan on our wedding day. On Alan's right is his best friend Terry, who died unexpectedly. They’d been best friends since they were 5, and it was tragic. This one is my favourite photo. I don’t normally like portrait ones as it’s showing my nose, but I do really like this one. When I arrived to get married and I got to the back, and I couldn’t believe how many people were in the church. Well I should have realised because Alan’s mum was one of 9 and his dad was one of 7 and there were masses of them, and I loved them, they were wonderful. I loved Alan’s family, they were brilliant. We went to Newbury Lane for our honeymoon (laughs), it was my friends house, and we spent two nights there then I was back at work. She just stopped at her moms. 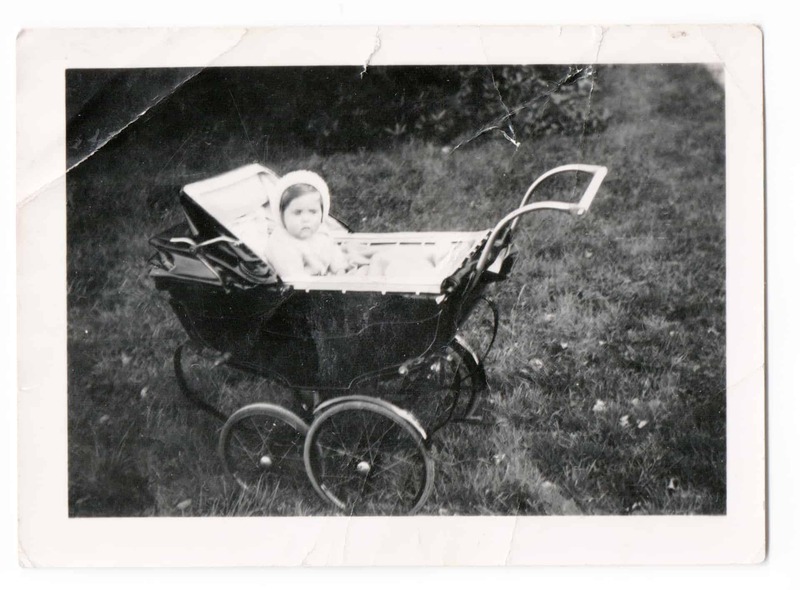 We lived in Highbury Avenue until we got our first home which was about 18 months later. We never actually had a honeymoon. This one on the left is taken here in the hall, that’s my granddaughter Lauren. She’s 23 now, and she’s about 8 or 9 here. We get on so well, we are the best of friends. 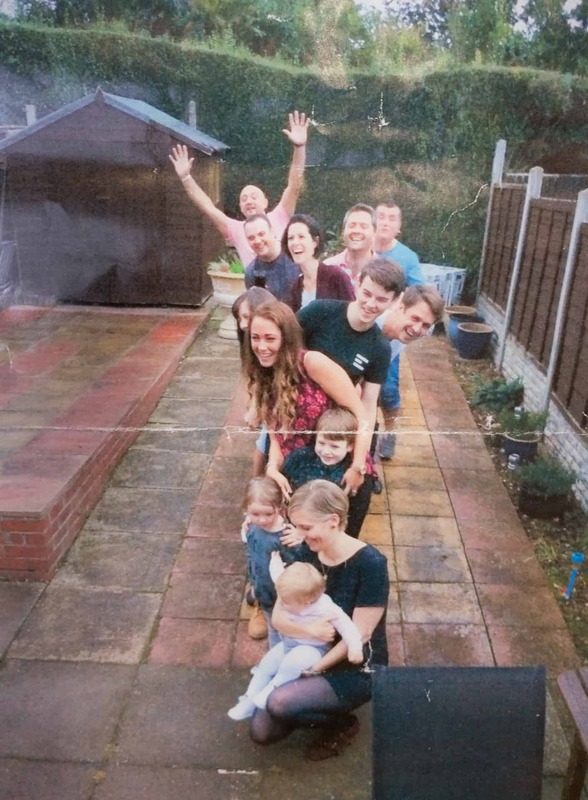 We have 3 sons Martin, Ian and Simon, and 6 grandchildren - Matthew, Lewis, Lauren, Leah, Jupiter and Aphee. We also have our niece Natasha and Grant our nephew.